Baby Steps To A Healthier Lifestyle - Eat. Lose. Gain. You get it. A healthier lifestyle is a commendable aspiration that will provide benefits for years to come. But change can be overwhelming and you’re not an all or nothing kind of person. So how do you make baby steps towards a healthier lifestyle without feeling like you’re going loco? Take it nice and slow. It’s better to make a few small changes and stick with them than go full-force screeching into a major life overhaul that you’ll eventually abandon. Trust me. The second option will only break your heart. This isn’t to say that you shouldn’t make huge changes. But you have to know yourself and you should adapt your healthier lifestyle to your personality. If big changes tend to be short lived in your world, let’s focus on some baby steps. Baby step #1: Sneak vegetables into every single meal. Duh! This should be a no-brainer. But if you only make one healthy change, this one is outstanding. Let’s focus on all the amazing reasons to eat extra vegetables. 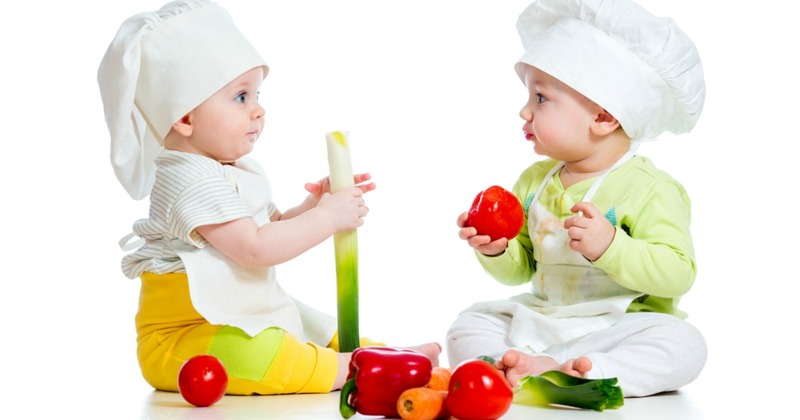 And here’s you baby step challenge: Add a vegetable at every meal. You can put some kale in your morning omelet, have some baby carrots with lunch and add some broccoli to your stir-fry with dinner. And done! Now that you’ve got eating a vegetable at meals mastered, now, why don’t we try for two! You know you should drink water, but you just don’t do it. Why? It bores you. But there’s no such thing as living a healthier lifestyle if you’re dangerously dehydrated. Which….wake-up call! Many of us are! Here are some great ways to make water fun! Try one of these and see if you can sneak in a couple of extra glasses of water a day! This is just a starter list. Take a moment and think. What’s your favorite fried food? And would it be that difficult to bake it instead of fry?And how much of the flavor do you think you’d really lose? We often get into the habit of eating too much because the food is just there. Little kids are often told to clean their plates until it becomes a subconscious habit. But cleaning your plate isn’t for the best if it will make you feel uncomfortably full. So what’s the solution? Use a smaller plate. Heck, try using a little side dish plate. And see how full you feel after cleaning that plate instead of a big one. Because you might just surprise yourself by how satiated you actually feel. And if not…well there’s always seconds! Food manufacturers will often use phrases like all-natural, wholesome, organic, no added sugar, and more to make you think that what’s in the box is good for you. But do you really want to trust marketing executives with your health? So there’s one way to get a better idea of what you’re eating. Take a label reading challenge! Here’s what you should look at on the label. How many servings in a package? What is the total number of calories per serving? How many grams of sugar per serving? Are the ingredients on the label words you can pronounce? The downside is that you might become shocked at what is in some of your favorites. But the upside it that, the more you become familiar with food labels, the more likely you are to gravitate towards food choices and brands that are good for you. This is a springboard for a healthier lifestyle. Do these things for a week or two, and I dare you to tell me that you don’t feel healthier. And surprise! You might even lose a pound or two as well. And what comes next? Well, once you’ve made a few changes towards a healthier lifestyle, you’ll probably want to add a few more. Crazy how that works! And maybe a few more healthy changes after that! But here’s the most important point. Health isn’t all or nothing. It’s not like, “Oh, I ate that chocolate chip cookie so I should now go and eat a fried pizza.” The things you do for a healthier lifestyle will nourish and support your health. And while, eventually you’ll hopefully go whole hog with this health thing, baby steps are a great place to start! These are all things I’m working on right now. I need to be healthier and am trying to keep going even when I get frustrated about messing up. Thanks for the information! Hope these tips are helpful.. I know it can be so difficult when trying to make healthy changes. Some people have great success diving in, but that certainly doesn’t work for everyone. You have to know where you’re at. I know that I need to start reading labels more and being more conscious of my portions! That gets me! Reading labels is so important! These are some really good steps to implement. I love baked stuff instead of fried. I like that one too. Baked stuff really can taste just as good! All great tips! We try to make our water a little fun by drinking fruity herbal teas. My kids get bored with plain water so add ins help! That’s great that you can get your kids to drink herbal teas. You’re helping them build good habits! So true! You always get a chance to make a fresh start! I think a lot of people find drinking enough water to be a challenging one. These are great ideas. I love veggies and fruits so it’s not a big issue for me to have them more than I have meat. I make sure to drink plenty of water and so do the kids. That’s great that you get your kinds to be mindful about water. Good job! Good tips. I really need to do better at getting veggies in with every meal. It can be tricky to add veggies to breakfast, but totally possible! making water more fun is the BEST tip. It’s so hard to remind yourself to drink so much water all day, but adding in fruit or whatever makes it 100% better! Doesn’t it? my FAVORITE is seltzer water. I desperately want to eat clean but i truly am awful at it! I love sugary stuff but it’s emotional eating i struggle with. I do sometimes take a short way out by frying than baking. What a great reminder will make sure I drink more water and baked my food instead. These are really great tips! I am still working on adding veggies into every meal. I mostly struggle with breakfast and lunch. I haven’t been very creative and am sort of getting tired of eating so many salads. I love this baby step approach! I usually go all in and then after a couple of months, can’t stick to my plan. These are seriously helpful tips. I gotta try baking my own treats. It would cut down on so much fat if I opted for that instead. Love these tips! Smaller plates, LOL, that was my fav! I’m glad to see you take aim at fried foods, Erica. “Kick fried foods out of your diet” is the first thing your primary care physician should tell you if you need to bring your cholesterol/triglycerides levels under control, speaking from personal experience.